Ongoing maintenance includes content updates when requested and regular maintenance updates. 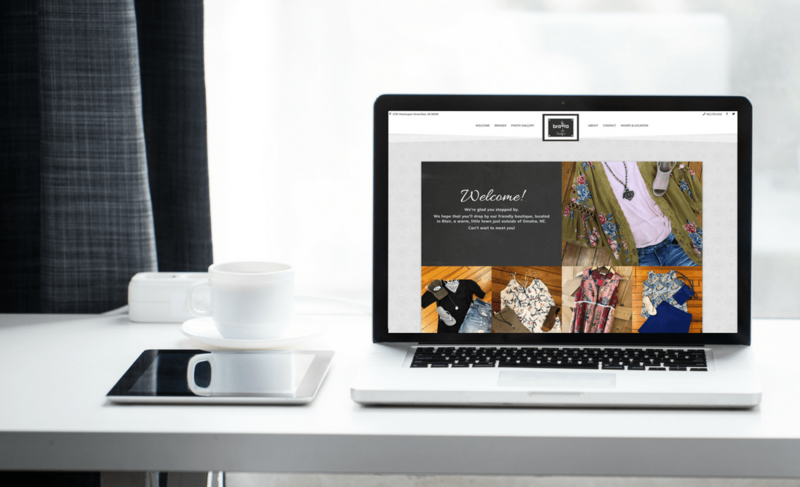 Bra-ta Boutique’s former site had been built on a WordPress theme that was no longer being updated, which meant that updating even simple things on the old site was either impossible or could lead to the entire site breaking. Our team updated the theme to Divi, and then worked on redesigning the site to make it look fresh and elegant while highlighting the apparel photos from the Boutique. We also replaced the former all-text list of brands with a collection of logos, making that section of the website more striking and compelling. The site was designed to match Bra-ta’s logo, with textures and overlays that complement her store design and beautiful clothing options. A one-page layout keeps the Omaha business website simple, while anchor links in the navigation bar make it easy to navigate and find content. Bra-ta Boutique has been a client with us for several years, and we’re looking forward to continuing to keep the boutique website design updated and beautiful.